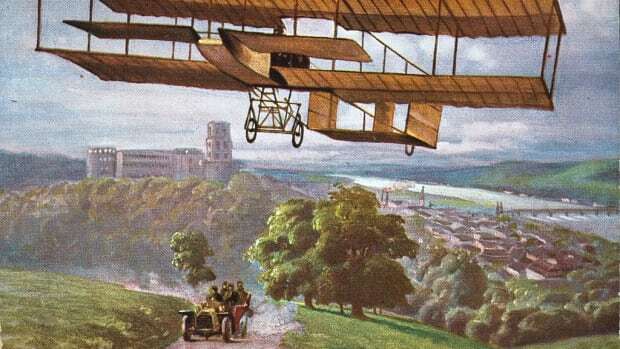 Autopilot has existed since 1912. But some experts worry that too much plane automation introduces danger. 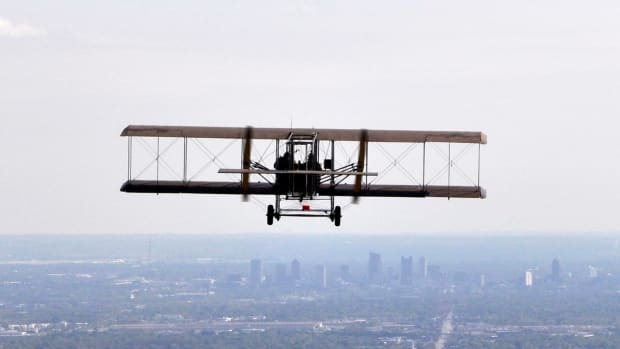 The first successful airplane pilot, Wilbur Wright, flew his 1903 craft by lying on his stomach, pushing and pulling levers as the wind swept over his head. Since then, piloting a plane has become a lot less physical thanks to automation and autopilot functions that do a lot of pilots’ work for them. But there have also been serious accidents linked to this technological advancement—like in 2009, when automation technology failed on Air France Flight 447, and pilots weren’t able to take control manually. Automating certain functions was necessary to making bigger and better planes. After all, Wright’s plane couldn’t fly as fast or far as jets today, let alone seat the number of people that a modern commercial plane can. 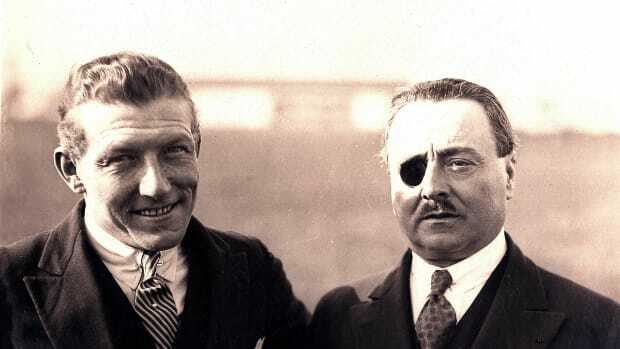 Just nine years after Wright flew his plane at Kitty Hawk, North Carolina, a man named Lawrence Sperry created the first successful autopilot. 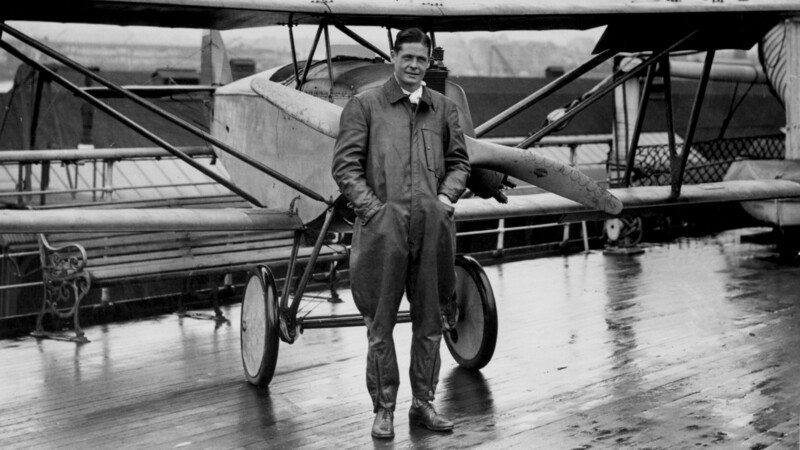 American aviation pioneer Lawrence Sperry (1892 - 1923) with his Sperry Messenger biplane, circa 1923. 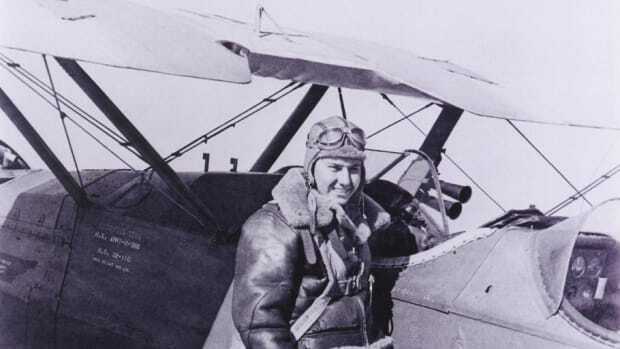 Sperry’s invention was known as “gyroscopic automatic pilot,” or “George,” as many pilots nicknamed it; and its innovation was to automatically balance the plane in flight so the pilot didn’t have to. Sperry’s autopilots became popular during the 1920s and ‘30s. 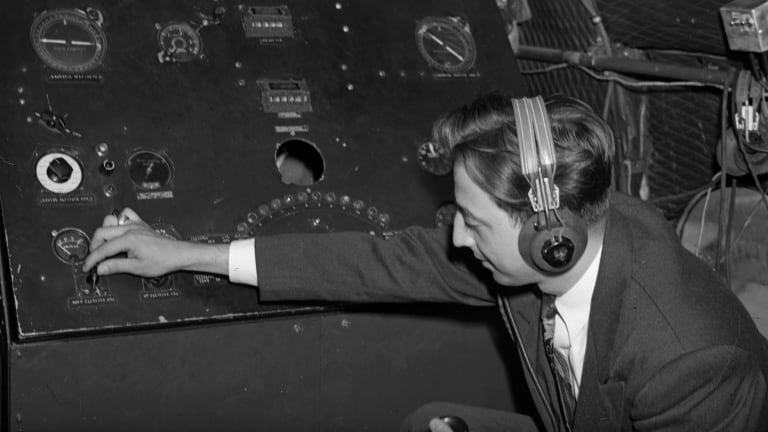 Howard Hughes installed one on the plane he used to set a world record (he flew around the world in 3 days and 19 hours), and American World War II planes had similar devices. After the war came the boom in commercial air travel, and more demand for automation. In the 1950s, commercial planes had five crew members in the cockpit: a flight engineer, a radio operator, a navigator and two pilots. Over the next few decades, automation and improved technology made the first three jobs unnecessary—and saved airline companies a lot of money. 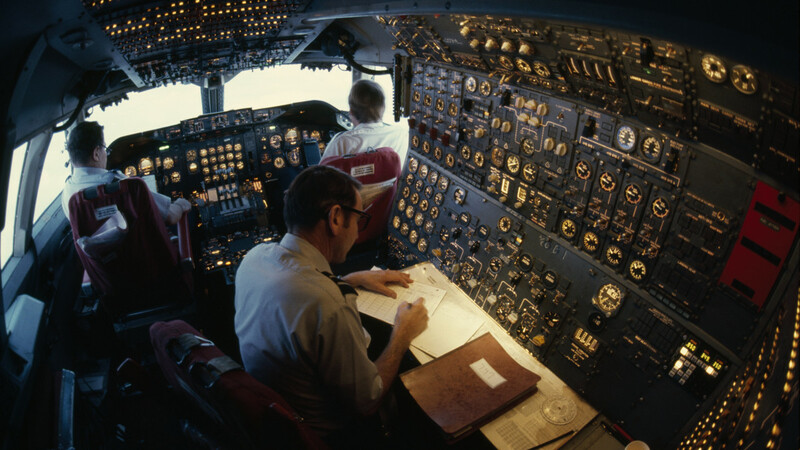 During the 1970s, airline companies started exploring automation using digital technology. At the time, studies showed that most plane accidents were caused by human error rather than mechanical error, so automation seemed like a way to make air travel safer (self-driving car developers also use this argument). Pilots let autopilot take control en route to Anchorage, Alaska, above North America circa 1977. In the late 1980s, Airbus fully introduced this technology for the first time on its A320 plane, also known as the “Electric Jet.” Other aircraft carriers like Boeing adopted these fly-by-wire systems in the 1990s. But in the 21st century, this technology drew scrutiny after a series of accidents in which automation was a factor. In a 2009, an Air France Flight 447 from Rio de Janeiro to Paris mysteriously crashed into the Atlantic Ocean, killing all 228 people aboard. Air traffic controllers lost contact with the Airbus A330-200 plane in the middle of a thunderstorm, and investigators didn’t discover the plane’s black box records for over two years. 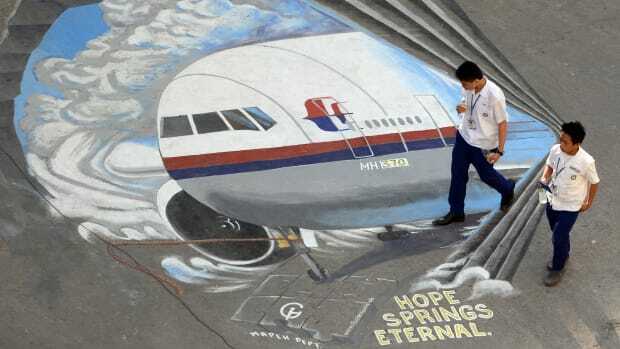 They concluded the autopilot and fly-by-wire functions had malfunctioned and turned themselves off, and the pilots were unable to take over the plane manually. 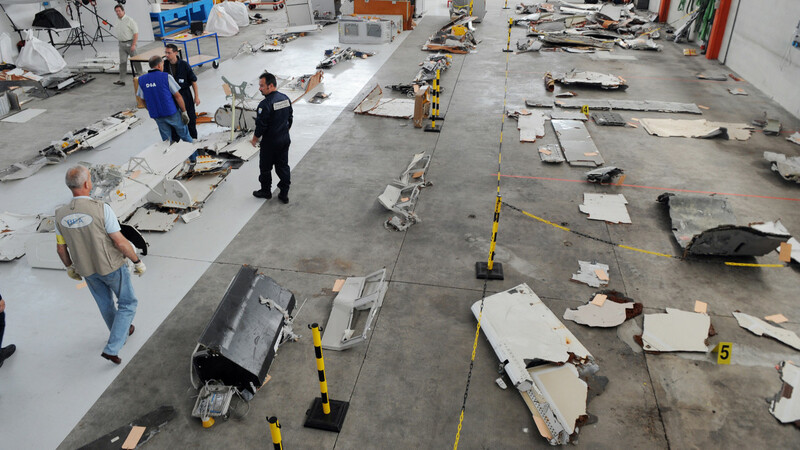 Investigators look through debris from the mid-Atlantic crash of Air France flight 447 on July 24, 2009 at the CEAT aeronautical laboratory in Toulouse, France. The Air France flight from Rio to Paris came down during the night of May 31 to June 1, 2009 during a storm, with the loss of all 228 people on board. Journalist and former pilot William Langewiesche later wrote in Vanity Fair that because flying a commercial plane had become such an automated process, the pilots on Flight 447 didn’t have the experience necessary to take over in emergency conditions. “To put it briefly,” he wrote, “automation has made it more and more unlikely that ordinary airline pilots will ever have to face a raw crisis in flight—but also more and more unlikely that they will be able to cope with such a crisis if one arises.” This was a problem the Future Aviation Safety Team had been warning airlines about since at least 2004. The Flight 447 crash prompted calls to retrain pilots on how to manually fly a plane, but a decade later, concerns about pilots not having enough experience to take over a plane manually persist. Investigators are still determining what caused the Lion Air Flight 610 crash in October 2018 that killed 189 people and the Ethiopian Airlines Flight 302 crash in March 2019 that killed 157; but many suspect automation programs in the Boeing 737 Max plane may have played a role in these deadly disasters.